GRANT GILLANDERS SHOULD get some kind of award for his intrepid research and dissemination of now ancient NZ pop music for the benefit of today’s jet-set kids. Each year he puts together and releases what seems like an increasing number of compilations exploring different facets of our groovy pop past, and all of them are worthy: some musically and others more in a musical-anthropological fashion. Come See Me (subtitled Dream Babes & Rock Chicks From Down Under) has been sitting somewhere on my review pile since late 2015, I’m sad to say. This double compilation of both NZ and Australian pop divas from throughout the 1960s is released in conjunction with RPM/Cherry Red, one of the UK’s biggest reissue labels, so these ‘dream babes’ will probably have been listened to by more people over the past year than when they were perching on the pop charts. This isn’t the place to look for neglected genius singer-songwriters or budding avant-gardists. 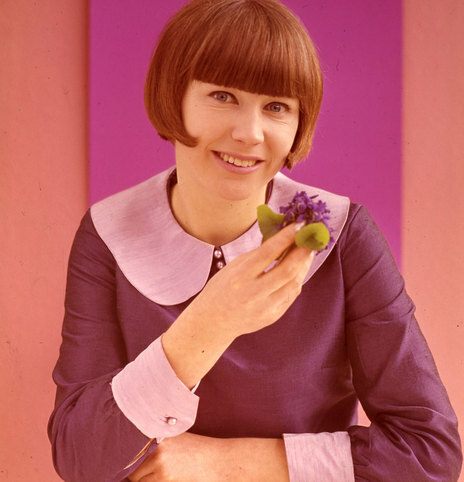 It’s unashamedly chart-directed commercial pop of a ‘60s hue, and most of the songs are covers. Having said that, despite a few real clunkers, there’s plenty of personality amongst these mini-skirt-wearing pop chicks, and quite a bit of variety. 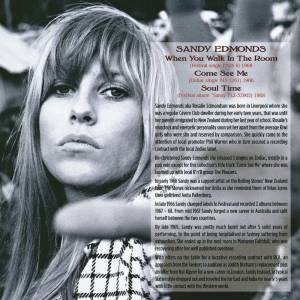 Do we really need to hear Sandy Edmonds do a pale version of ‘When You Walk In The Room’ featuring blaring horns and all the signature crassness of the C’mon TV show? Maybe not, but it’s interesting for the public record, and in this convenient digital age, it’s easy to eliminate not-wanted songs from any playlist, right? And actually, elsewhere on these discs, Sandy Edmonds is quite a major player. In fact, the album’s title comes from an unusually down’n’dirty Edmonds number that really breaks the mould. The second disc bears witness to the early ‘60s folk migration to the charts, but also shows how quickly beat music shoved it back to the fringes again. There are lesser-known songs by Kiwis like The Chicks (and an excellent track, ‘I Can Hear The Picture’, showcasing Chick-alone Judy Donaldson on her short-lived solo career), and more evidence by the likes of Dinah Lee, The Shevelles (a pretty good local iteration of Motown soul), and even a different take (or mix) of Alison Durbin’s famous but rather icky ‘I Have Loved Me A Man’. Somehow, the Australian ‘babes’ are less remarkable, or is that just my personal prejudice? [Don’t answer that]. There are plenty of oddball moments for pop culture buffs, and although Come & See Me is by no means essential buying, it’s certainly a novel collection that if just a little short of classic songs and iconic singers, still has a lot to offer. The booklet design is a pleasure to look at, and it’s great to see bios of every single singer, although it was rather sad that in these pre-feminist times most of these singers were expected to end their careers to raise families. My big gripe with the booklet (as with so many similar projects) is the ridiculously small type size, which I had to squint at even while wearing my reading glasses, and the coloured backgrounds underneath the type that made it almost impossible to read. My suggestion: put extensive liners up online for reference, rather than expecting people to squint at them in a CD booklet.